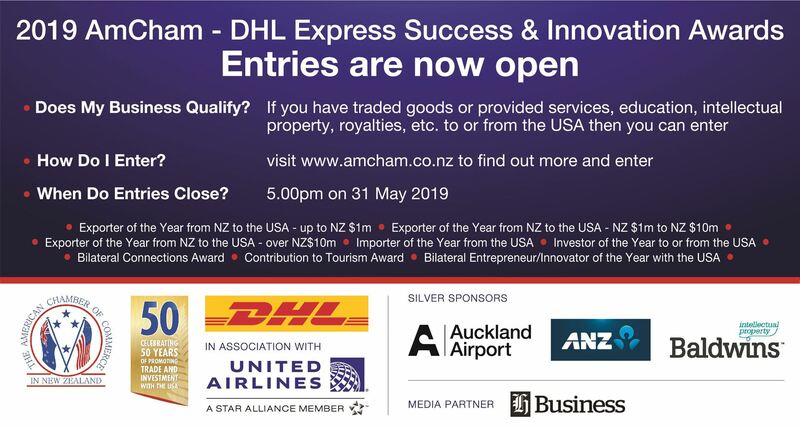 AmCham has been promoting trade, investment, tourism and education links between the United States of America and New Zealand for over 50 years. Our membership is diverse and is made up of many of the US Fortune 500 companies and leading NZ corporates representing turnover well in excess of $50 billion and over 100,000 employees. We work closely with many organisations, governmental and business, in both countries as well as with our counterparts in the Asia-Pacific region and this network provides our members with access privileges other organisations are unable to provide.